Each summer, Harker’s business and entrepreneurship department holds a Wharton SOAR (Strategy, Operations, Action, Research) Camp. This year, students learned the basics of working on a team, and starting and operating a business, through a simulation focused on the needs and challenges of a box-selling company. In this exercise, camp members assigned roles and delegated tasks to each other in order to increase the bottom line and win every “month” (every hour, in the simulation). Students incorporated marketing strategies into their business, with each team creating an advertisement skit to perform for the group. Next came the car simulation, in which campers strengthened their teamwork skills, and learned about manufacturing and the complex operations of running a business in the automotive industry. The students were then judged on the appearance and functionality of their cars, and learned the effects of supply and demand. Students also traveled to San Francisco, where they took an in-depth tour of the startup incubator Runway, located in the Twitter headquarters building. Campers explored futuristic inventions, like virtual reality equipment, biometric scanners and advanced hydration technologies, among others. 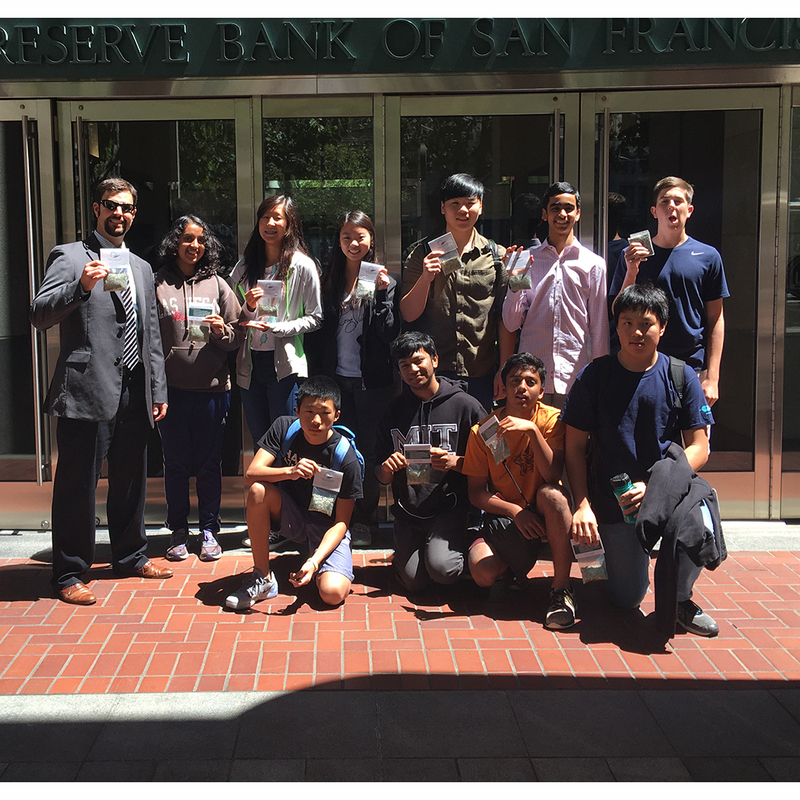 Afterward, the group headed to the San Francisco Federal Reserve, where students learned about monetary policy, the history of the Fed, and the effects of economics on daily life. Campers also were allowed to visit the “cash” (a play on the word cache), where they saw the management and destruction of hundreds of millions of dollars worth of worn-out U.S. currency.